stone looks clear but still looks nice. super beautiful and arrive store recommend very fast. gorgeous ring! wore it for the first time to work today and I received compliments all day long ! I am very happy with this item? this is very beauiful! good quality and shipping time. Thank you very much! Great excellent service by shipped. Beautiful right ring! Fits perfectly, I may have to purchase another one! Order the third ring. Very nice. Order as promised received within a month. A message about you receive the post office and I took no problem. Product matches. 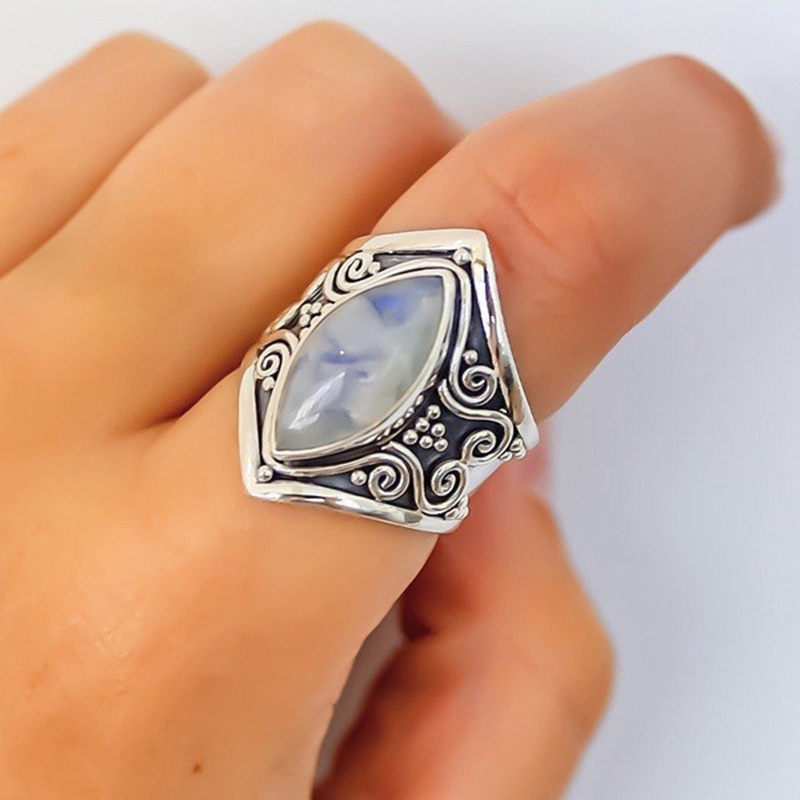 I really like the beauty of this ring. 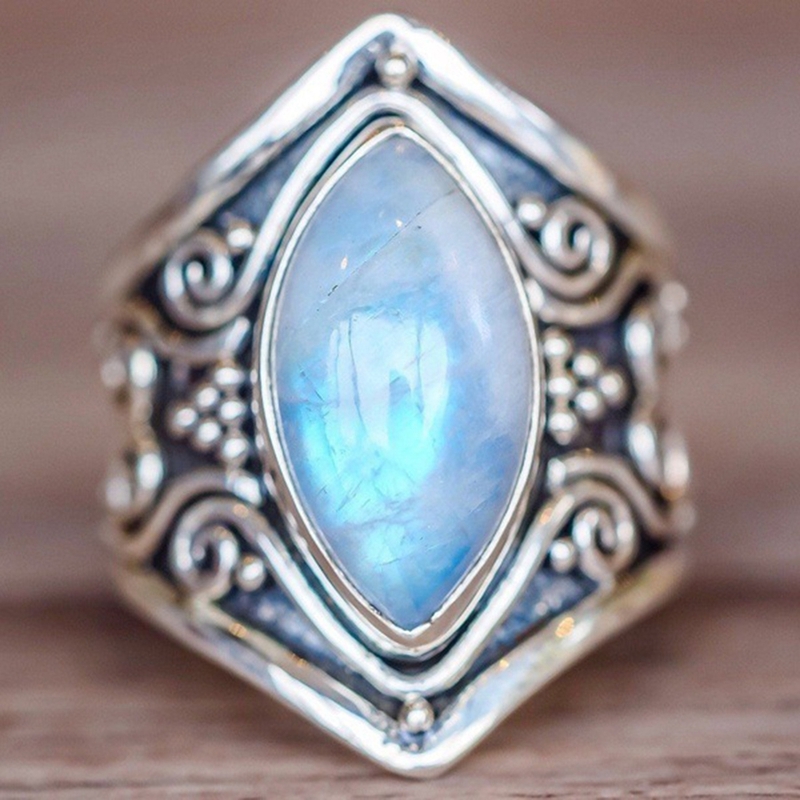 The stone looks slightly like an opal so October birthdays should get this ring. I’m definitely happy with my purchase. Very pretty and accurate to the size. Beautiful ring! Very fast delivery. 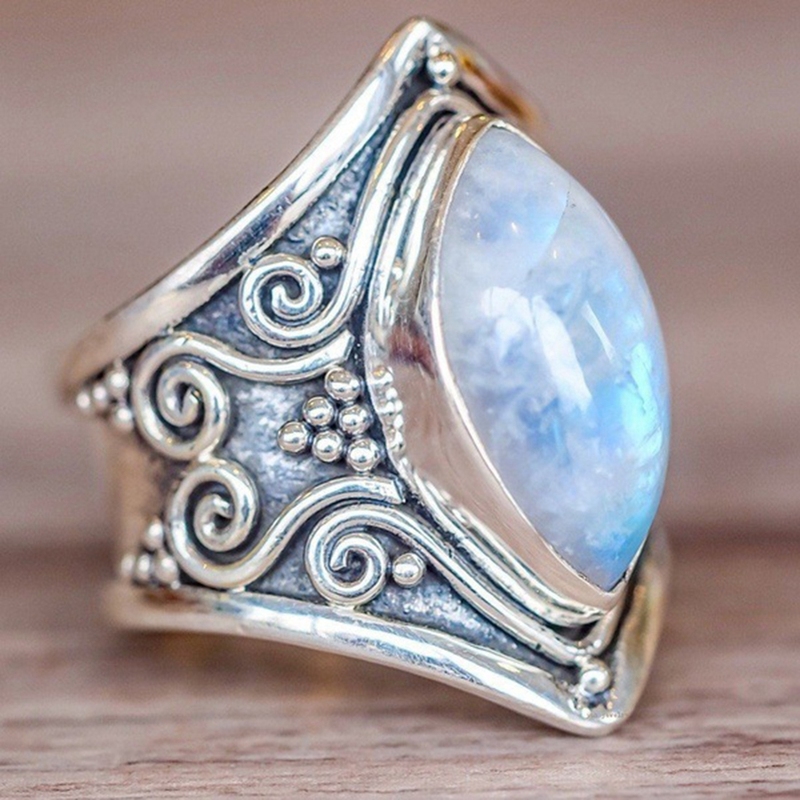 Very pretty silver ring. The band is very shiny at first, though natural time and wear will give it a more “antiqued” look. Some antiquing is detailed around the designs/swirls around the setting. 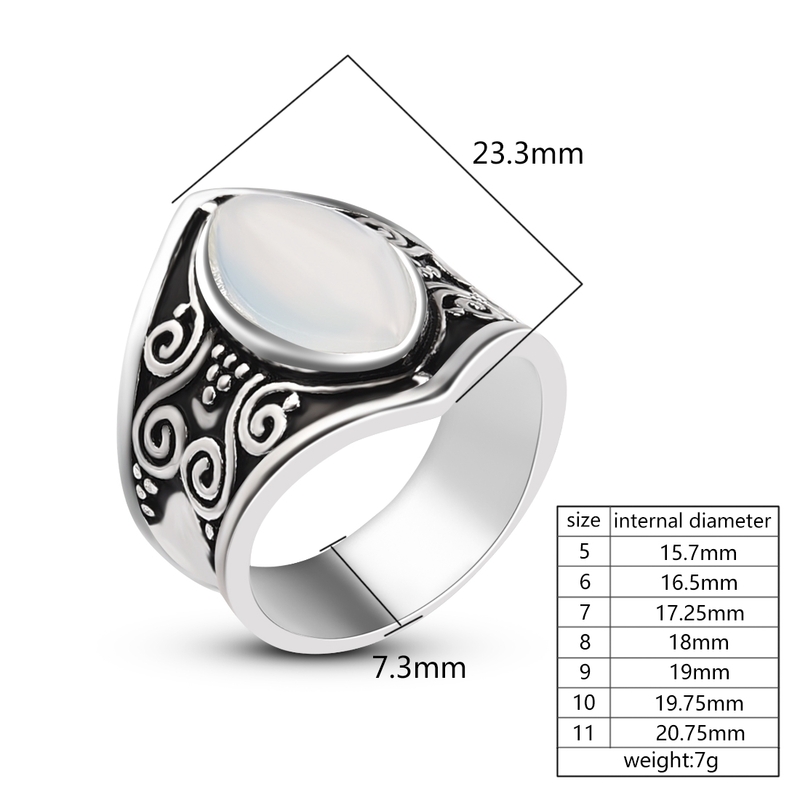 Gem is not genuine, though this store does offer a genuine moonstone version of this ring. Both items are very lovely. Since this is a wide band, I would recommend that you size up 1 size since it will fit snugly. I usually wear an 8, but I ordered a 9 and it fits perfectly. Seller shipped very promptly and item arrived faster than I expected. Ring arrived safely in a small padded envelope with no damage. Seller was very helpful and answered all of my questions, will definitely purchase more items! I already have a ring like this. Love the ring so much ordered another one. Love it! exactly as beautiful as it looks! The ring is very nice. Very nice and would order again. Love the design on the band.